Sparkling Water is designed to be executed as a regular Spark application. It provides a way to initialize H2O services on each node in the Spark cluster and to access data stored in data structures of Spark and H2O. Use of H2O algorithms in Spark workflow. 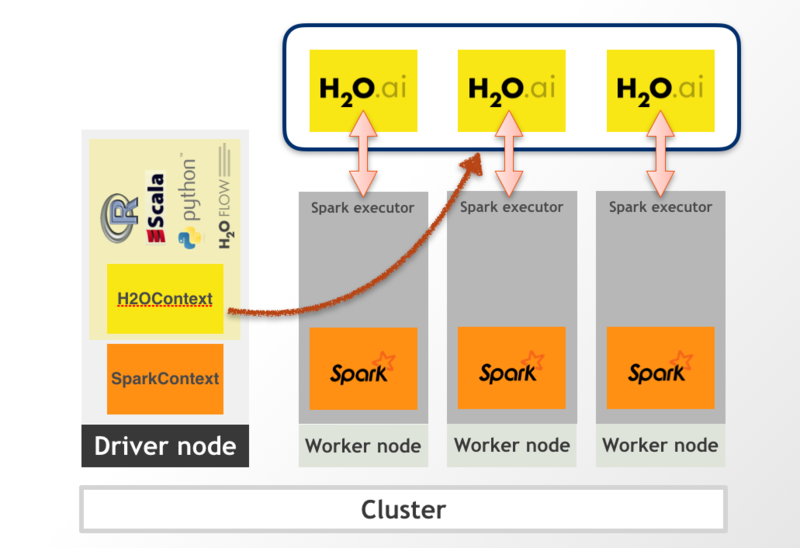 Transformation between H2O and Spark data structures. Use of Spark RDDs as input for H2O algorithms. Transparent execution of Sparkling Water applications on top of Spark. Sparkling Water supports two type of backends: internal and external. In the internal backend, Sparkling Water is launched inside a Spark executor, which is created after application submission. At this point, H2O starts services, including distributed KV store and memory manager, and orchestrates them into a cloud. The topology of the created cloud matches the topology of the underlying Spark cluster exactly. The following figure represents the Internal Sparkling Water cluster. 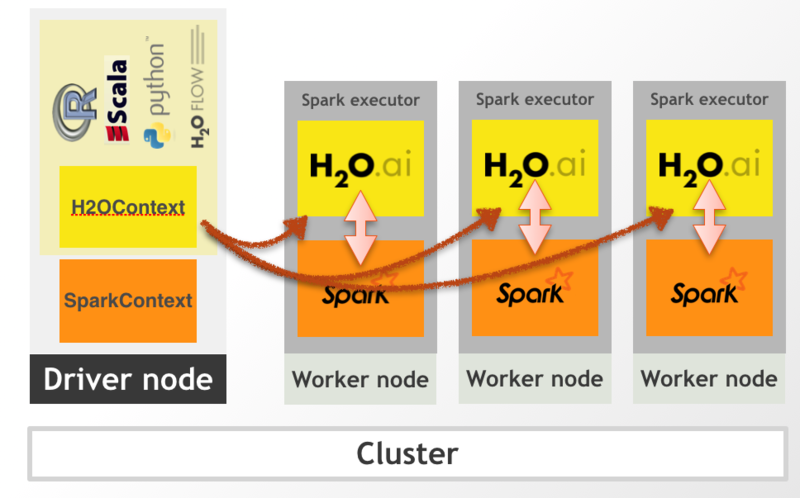 In external backend, the H2O cluster is started separately, and we connect to it from the Spark driver. The following figure represents the External Sparkling Water cluster. To read more about the backends, please visit Sparkling Water Backends. When H2O services are running, it is possible to create H2O data structures, call H2O algorithms, and transfer values from/to RDD.